I'm speaking at the MixedConference in October! I will be speaking about Accounting for Blogging. Mixed is a small conference, so get your tickets early! I hope to see you in Houston this Fall!! Have you tried it yet? What are you waiting for?? 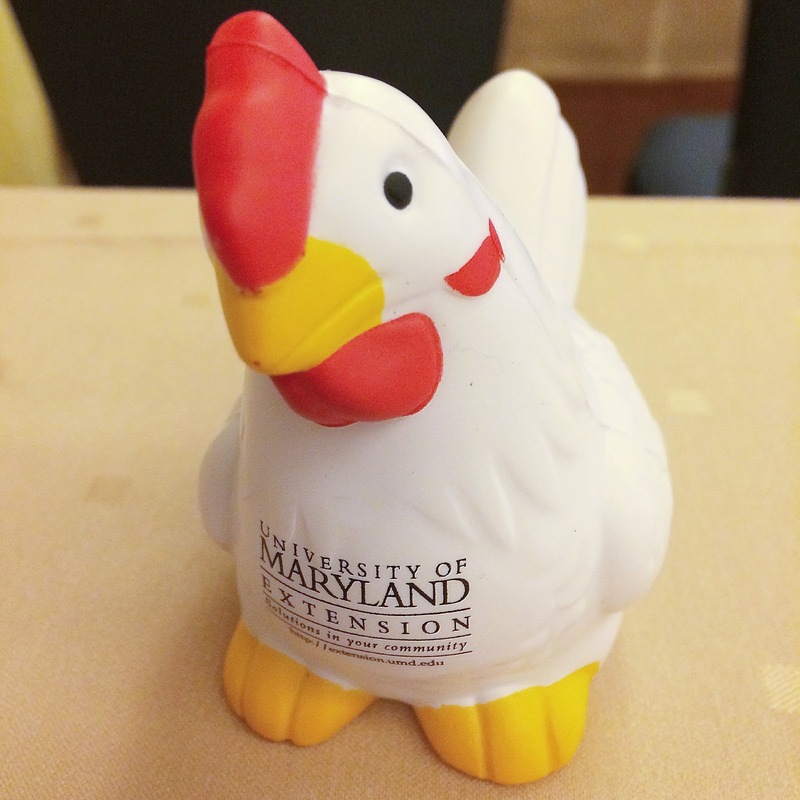 I went to the Chicken Media Summit in Cambridge, MD April 19-21st. 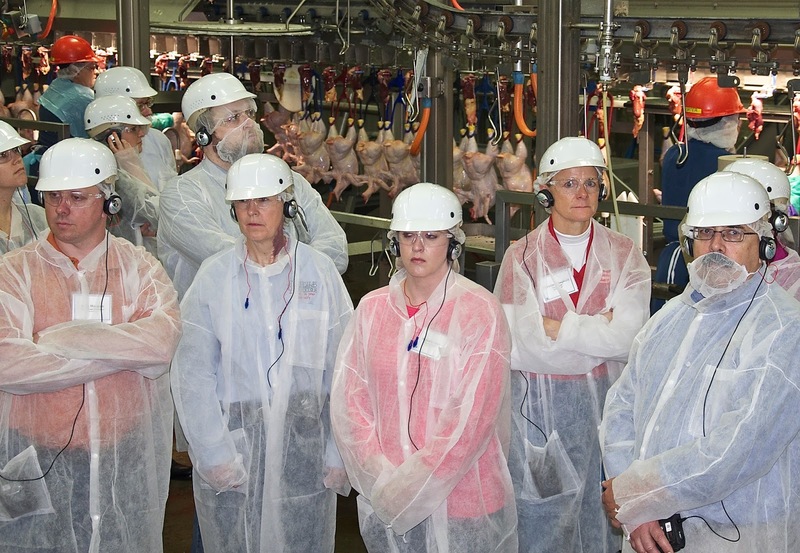 It was put on by the National Chicken Counsel and The U.S. Poultry and Egg Association. They put us up at the Hyatt Regency in Chesapeake Bay. 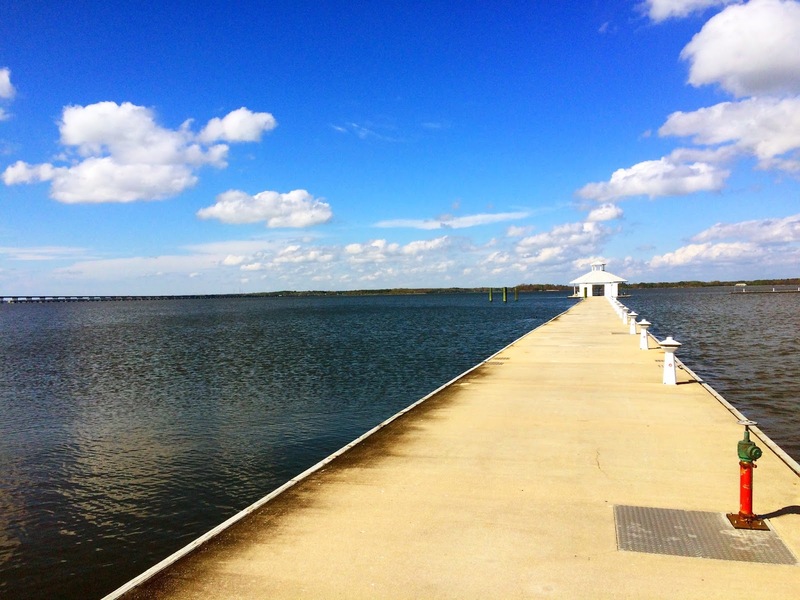 It had an amazing view! The first day's event was a cocktail hour and dinner. We had chicken, of course! Monday we got up early and headed out on a Farm to Fork Tour. We started at the hatchery. We got to see all the eggs in the incubators and the little chicks hatched. 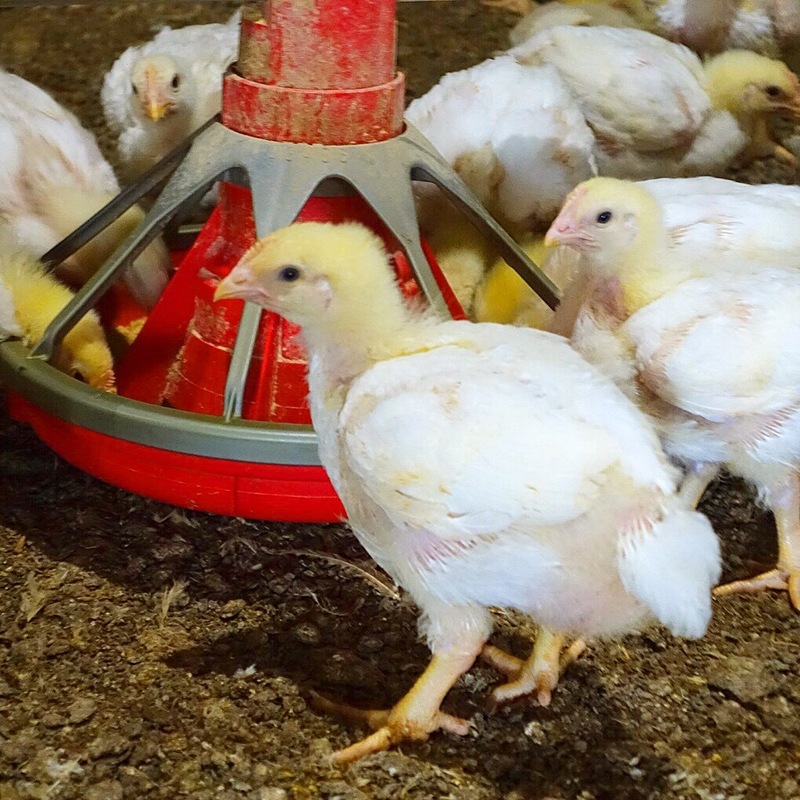 They can hatch 1,451,520 chickens per week! It takes 21 days for the eggs to hatch. Once they are hatched they are counted in boxes of 100 and delivered to the chicken farmers. After the hatchery, we headed to the farm. I went inside my first chicken house! These little chicks were 21 days old in the chicken house. They will stay in the chicken house about another month before they head to the processing plant. 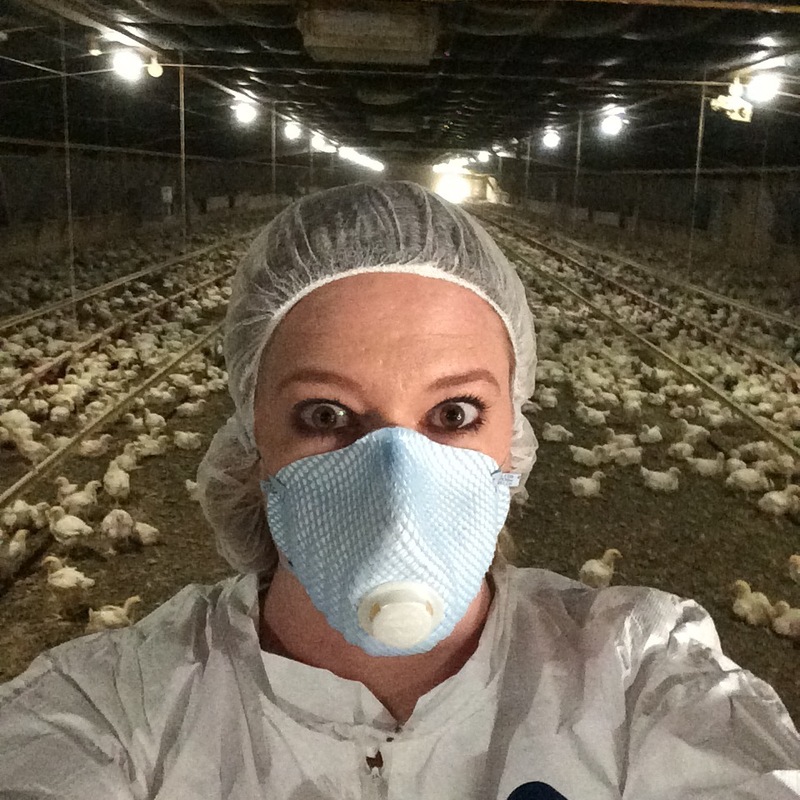 After the chicken house, we made our way to the processing plant. I was super worried about this part of the tour. It really wasn't bad. It was a like big assembly line butcher shop. We saw the people inspecting the whole chickens, cutting the meat off the bones and the chicken getting packaged to go to the consumers. I did opt to skip the part where they killed the chickens. After the processing plant we had lunch - chicken. After lunch we got to tour the Perdue Chicken Research and Development Facility. It was SO neat. We got to see where they develop all the new products. We even got to sample some of the brand new products. 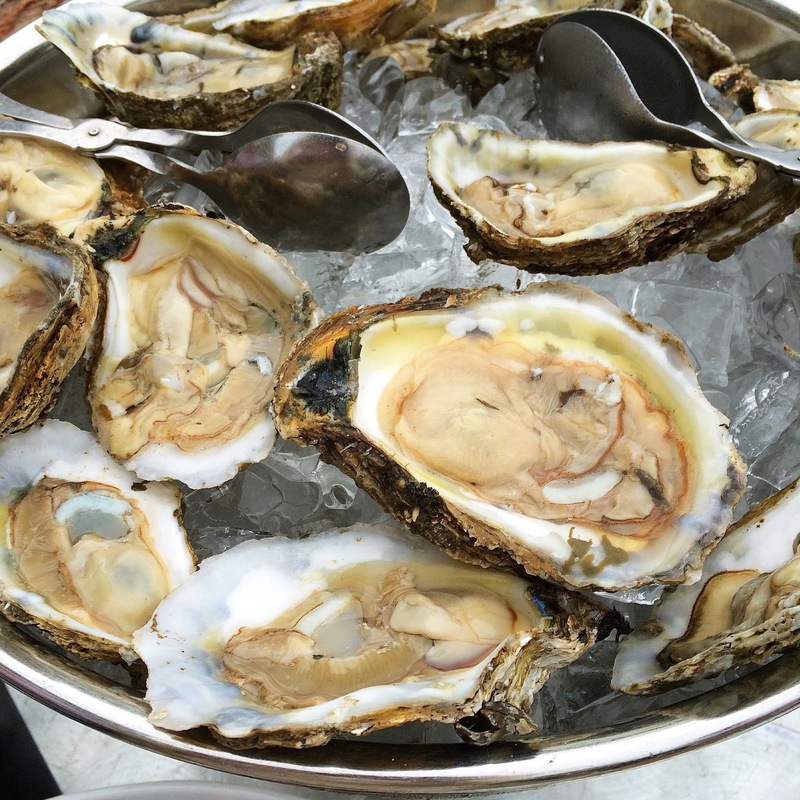 They threw in a little seafood at the cocktail party before dinner. 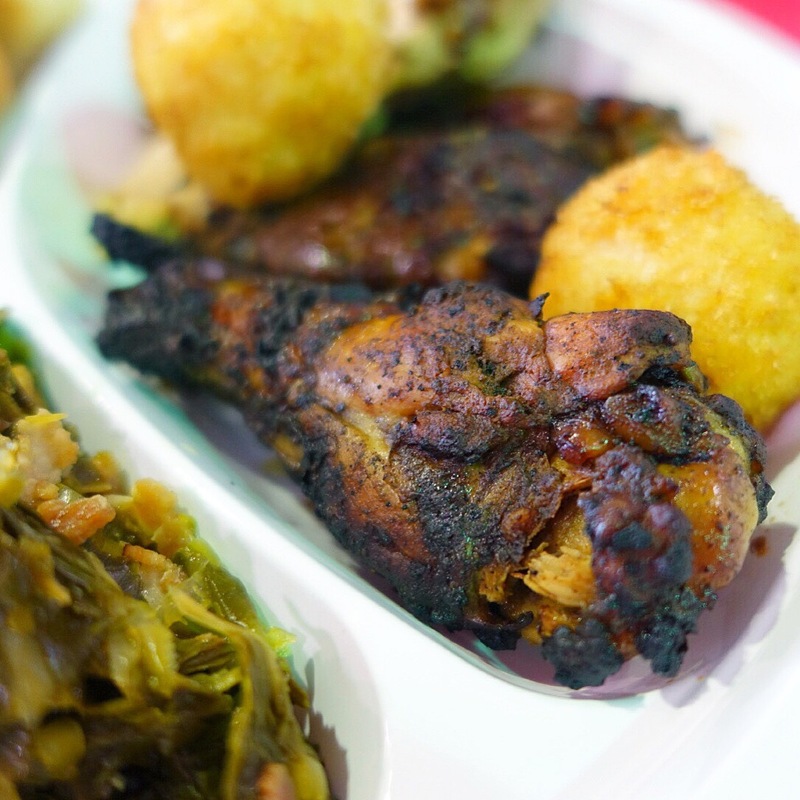 Don't worry, there was lots of delicious chicken at the actual dinner. Tuesday we had a half day session on chicken myths and chicken food safety. One of the big myths that was debunked was that chickens are full of hormones and steroids. That is 100% not true. Chickens have zero, zilch, nada hormones and steroids. We have bigger chickens now due to selective breeding. Basically they breed big chickens with big chickens. I really liked getting to see the whole process from start to finish. I now know where my chicken comes from! I had a long time to wait at the airport for my flight home. 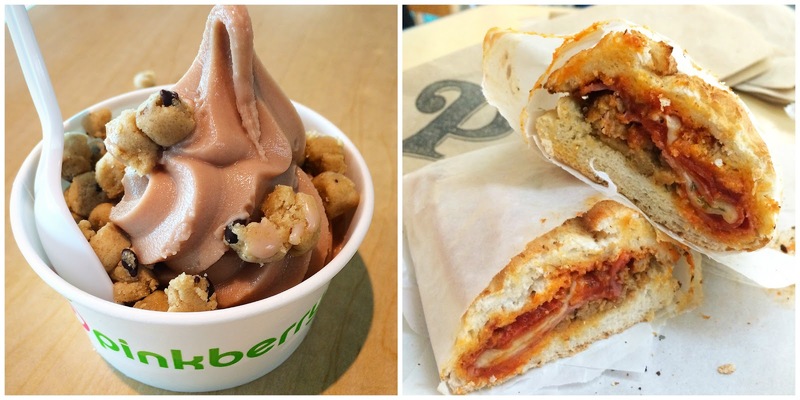 I had my very first Pinkberry (chocolate hazelnut with cookie dough) and my very first Potbelly sandwich (pizza sandwich). Both were delicious! Let's talk about Grey's Anatomy for a minute. I've been a faithful watcher from the very beginning. I've stuck with it when the going got tough (killing off McSteamy), but killing off McDreamy was just too much for me. Granted, there is Dr. Avery, but I QUIT. What do you think about killing McDreamy? Are you still going to watch? 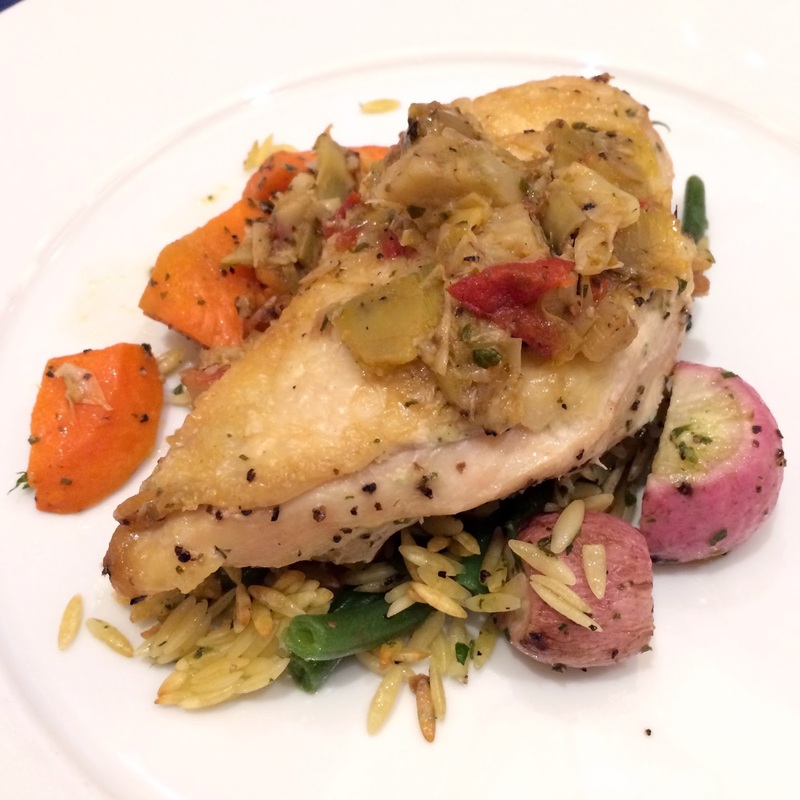 We hosted another #TwitterSupperClub in April. We love having all our twitter friends over for dinner! It is always SO much fun!! Chicken Legs grilled up some amazing steaks, and I took cake of the side dishes. You can't have #twittersupperclub without emoji stickers to personalize your cups. Need a last minute recipe for Cinco de Mayo? 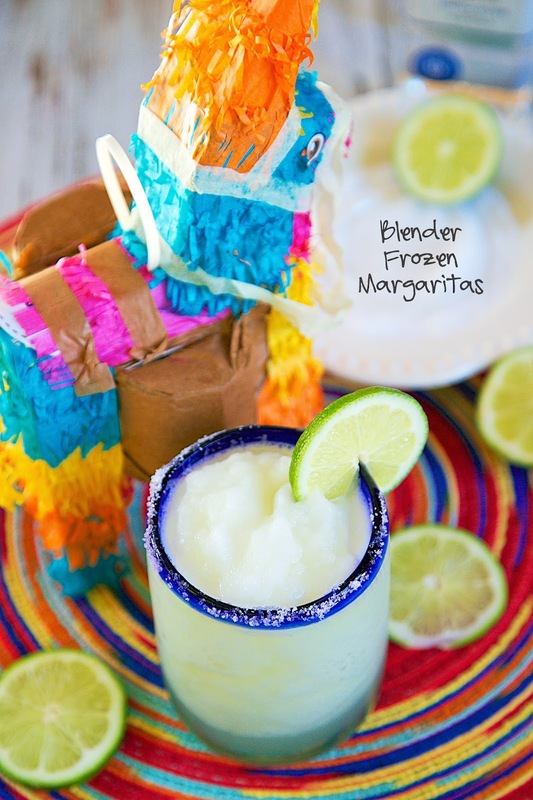 How about these delicious blender - Frozen Margaritas?!? 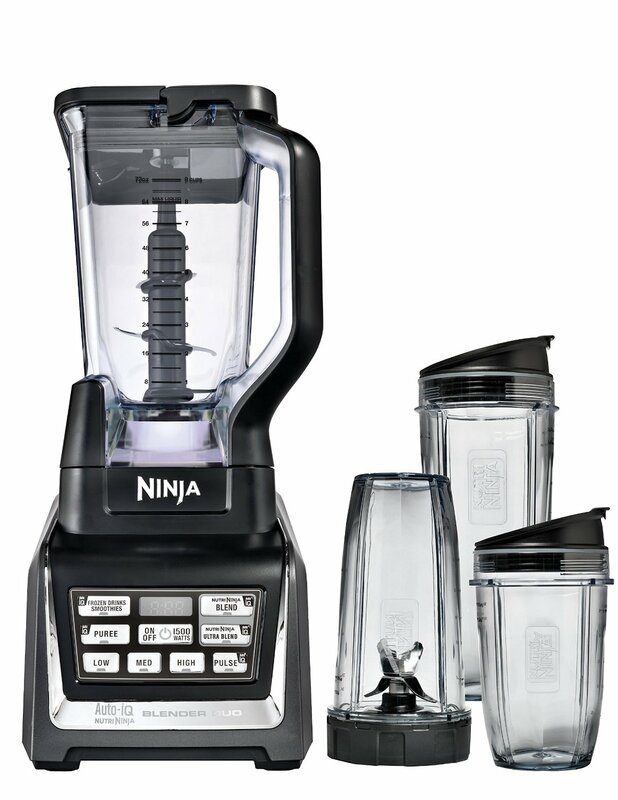 The folks at Ninja sent me a new Nutri Ninja Blender Duo with Auto-iQ. Let me tell you, it is awesome! Perfect for making smoothies, milkshakes, and even salsa! I LOVE the different sized cups. You can make your smoothies right in the cup! 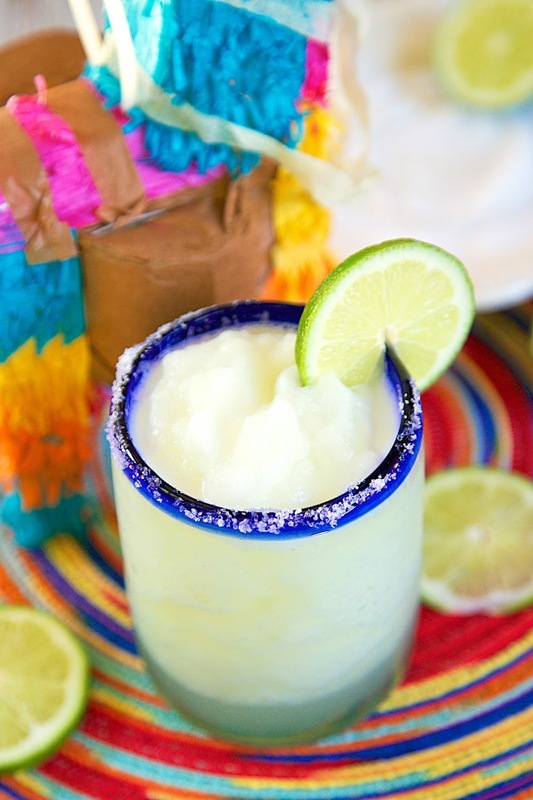 Since Cinco de Mayo is next week, I had to try my hand at a frozen margarita. I loved how quickly the margaritas buzzed up the the Nutri Ninja Blender. It only took a few seconds, and we had a delicious frozen margarita. It was a thousand times better that the Mexican restaurant. Give it a try on Tuesday night! Place all of the ingredients into the Pitcher in the order listed. Turn unit ON and select the "Auto-iQTM FROZEN DRINKS/SMOOTHIES" program. NINJA® Know-How: Substitute frozen strawberries for the ice in this recipe and make a delicious strawberry margarita. If you are looking for awesome recipes, make sure to follow my "Favorite Blogger Recipes" Board on Pinterest. 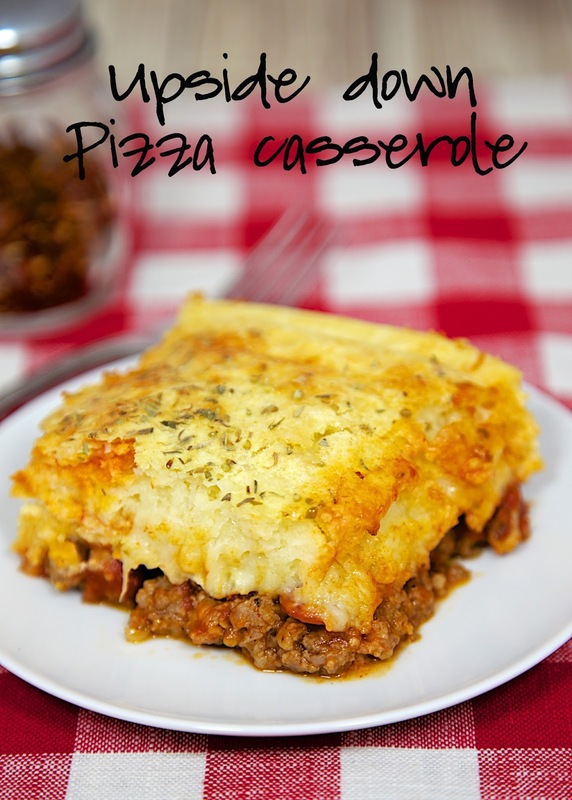 There are 14 amazing bloggers pinning recipes to this board! 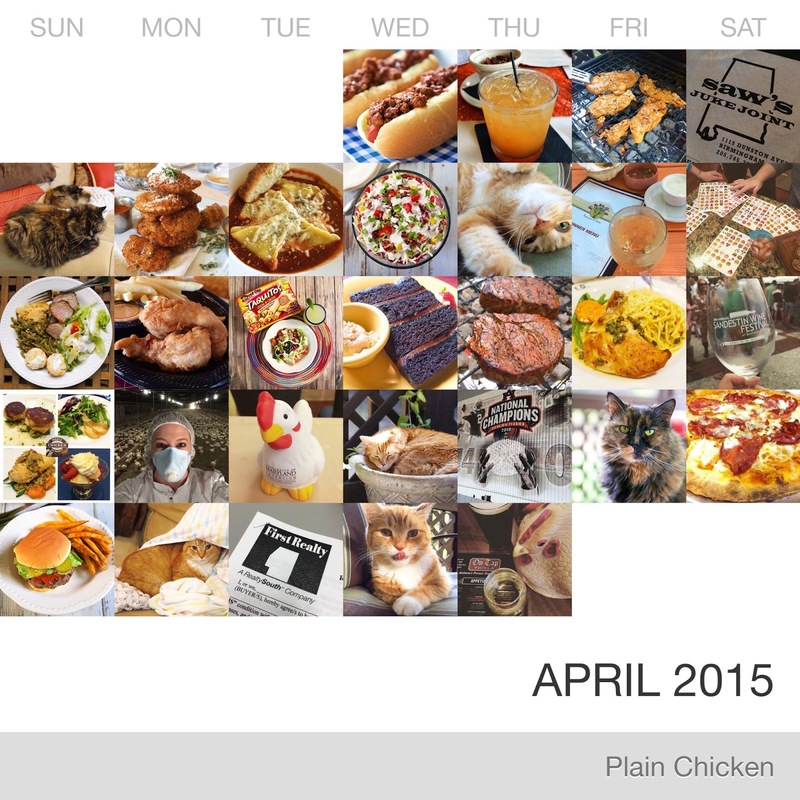 Follow Plain Chicken's board Favorite Blogger Recipes on Pinterest. May is CRAZY busy! I am barely at home the entire month. Make sure to follow along on Instagram to see everywhere I go and what Chicken Legs is doing all alone at home. He will be using #ChickenLegsHomeAlone on this photos. So I JUST watched "the" Grey's episode this week. Obviously I knew what was going to happen because, hello, internet, but it was still terrible to watch. I'm like you, I've been with it since the beginning so, I just don't know if I can quit now!! Obviously I'm not as dedicated as I once was since this happened 3 weeks ago but it would still feel weird not to watch it!